This watercolor was painted in a light, sunny spot on a bird walk in Corkscrew Swamp in Naples, Florida, in the Everglades. 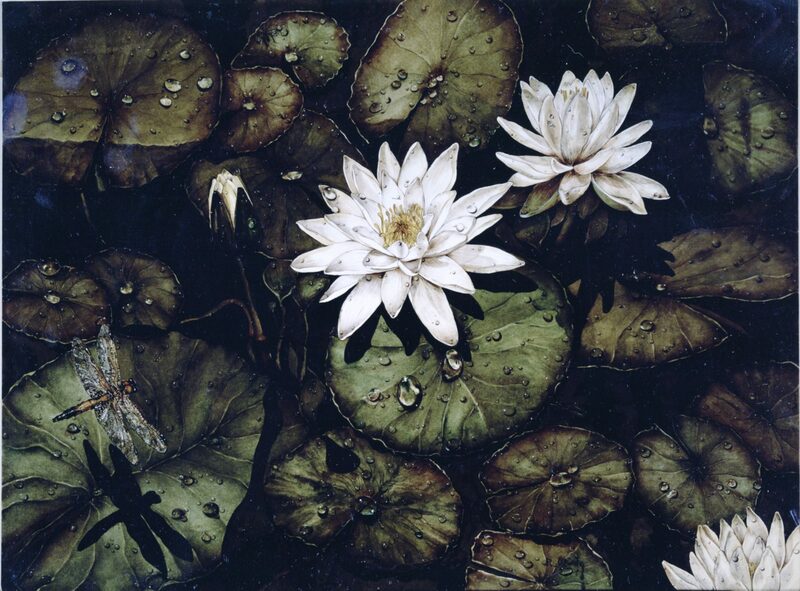 The painting was used as the Exhibition Catalogue cover image for the 6th International Exhibition of Botanical Art and Illustration, considered the finest botanical exhibition in the world, in which artists are allowed to exhibit only once. The original work was displayed in the Florida Governor’s mansion for several terms. This poster of Everglades was used as part of the exhibition created by Governor Bob Graham during his terms as Florida’s Governor to support his enormous effort to save the Everglades. 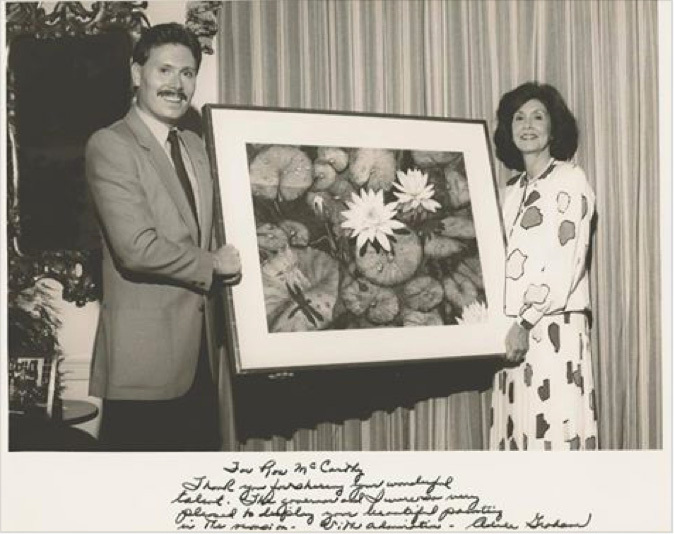 Adele Khoury Graham and Rob McCarty pose with the original painting. This is a painting? I thought it was a photograph! I’ve never before seen such an exceptionally detailed painting. It’s beautiful!